If you are thinking about bringing a personal injury claim in the State of California, it will be helpful to understand the different phases of the claim. After you have sought medical treatment for your injuries, contact an attorney who can review and investigate the facts of the case. By doing so, we can determine what actually happened, present this information to the insurance company and engage in negotiation for a settlement involving your damages. If there is no settlement reached, a lawsuit may be appropriate. The first phase of the lawsuit would entail a process called discovery. During discovery, we will take sworn statements and collect documents in a more formal manner. We will then attempt to informally resolve the case with the other party. This attempt toward achieving resolution is done through mediation. 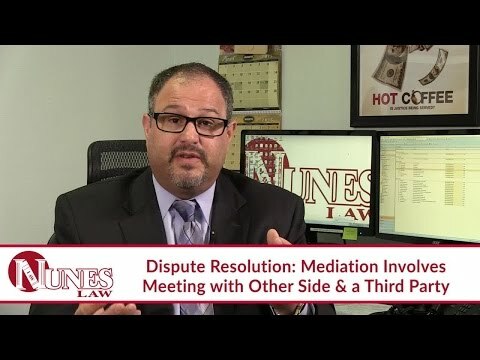 During mediation, both parties will present their case to a neutral third party. If the parties are still unable to reach resolution at this point, the case will be set for trial. During trial, we will appear in court at our designated place and time to present our case in front of a judge or jury. They will then review the facts and decide which side proved their case to the appropriate standard. Watch the video to learn more. If you have additional questions regarding what personal injury claims entail, I want you to call me at (559) 436-0850. Visit our educational website at https://www.nuneslaw.com for more videos and media content from our law firm.